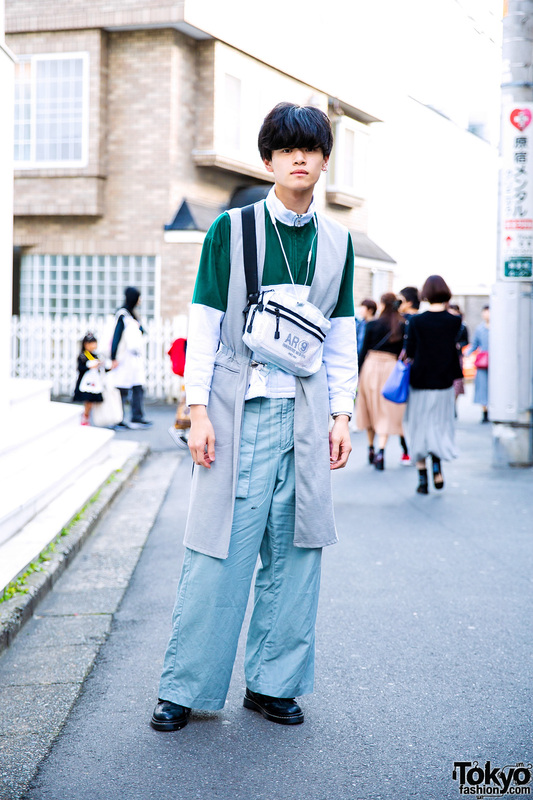 Japanese student wearing a half-color coat and scarf in Harajuku. 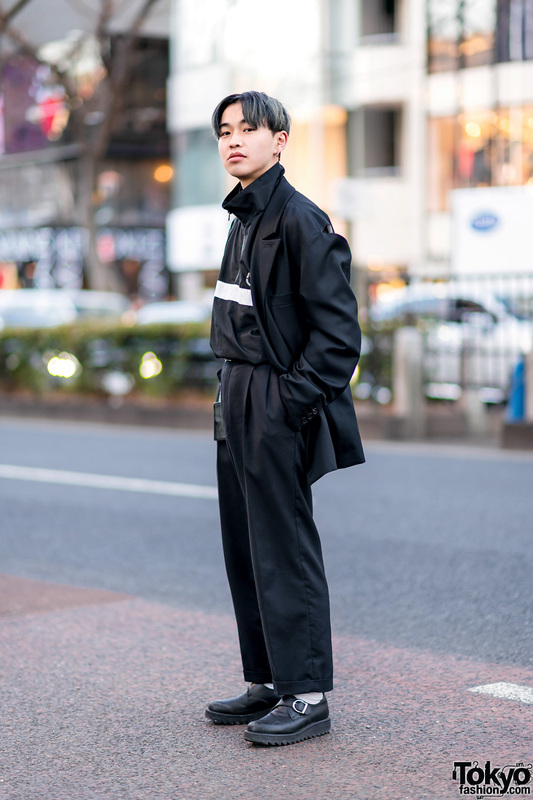 Harajuku student clad in resale coat, floral print shirt, cuffed pants and buckle boots. 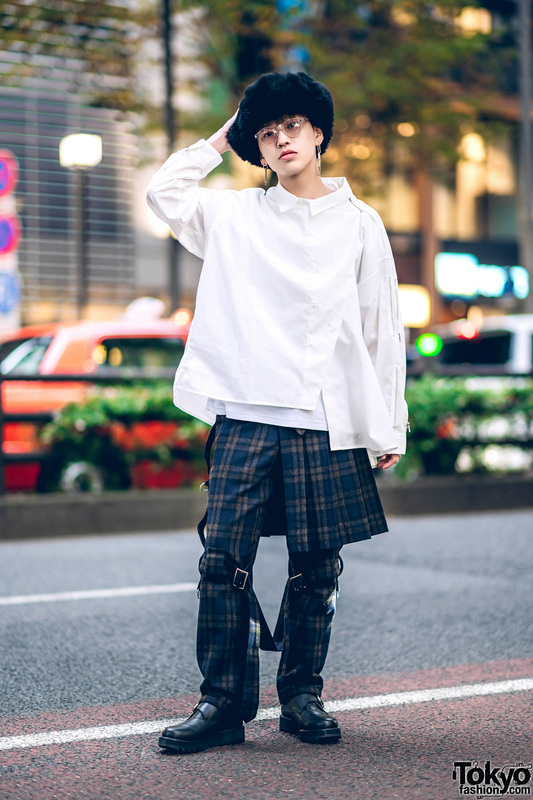 Japanese student clad in a stylish menswear plaid look while out on the Harajuku street. 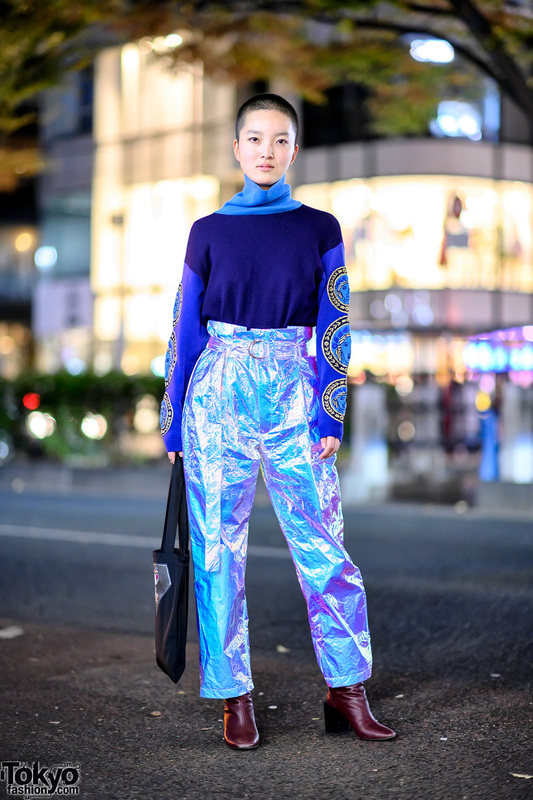 Japanese model with a shaved hairstyle wearing a knit sweater, metallic high waist pants, heeled boots, and a cartoon art tote bag on the street in Harajuku. 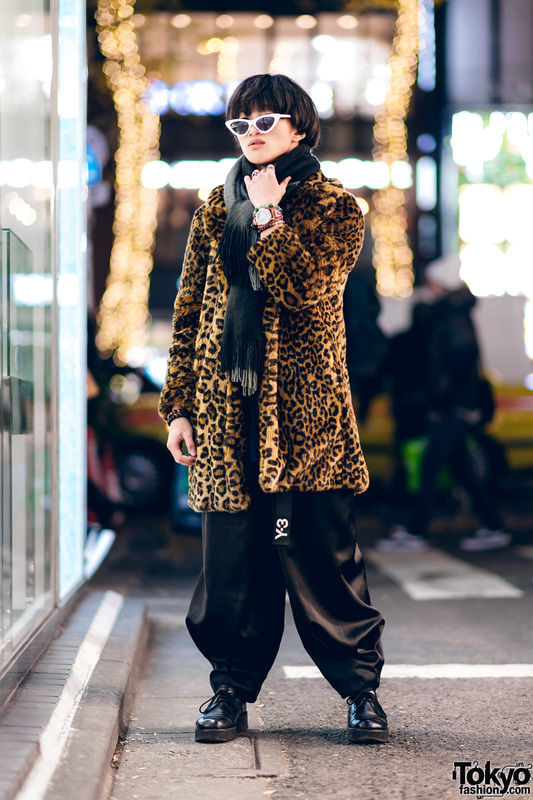 Japanese student sporting a leopard print furry coat, fringed scarf, parachute pants and leather lace-ups while out and about on the Harajuku street. 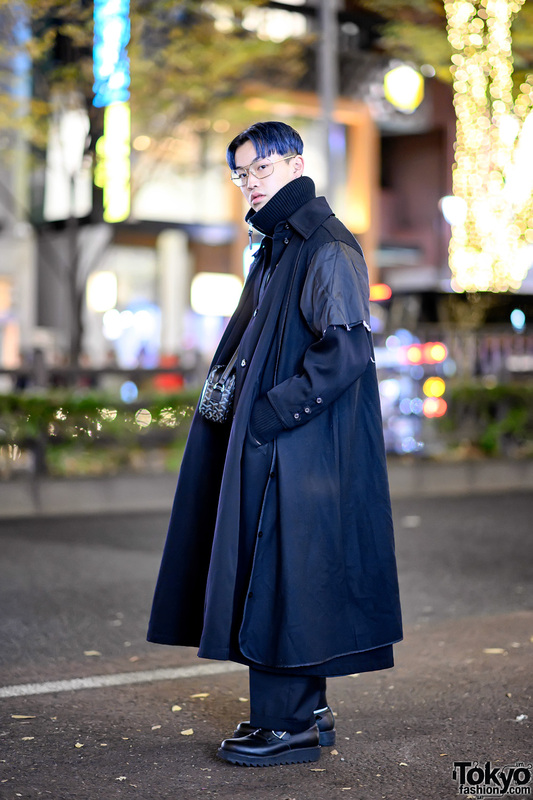 Harajuku guy with a blue hairstyle wearing a deconstructed coat over a turtleneck, wide pants, buckle shoes, and a crossbody bag. 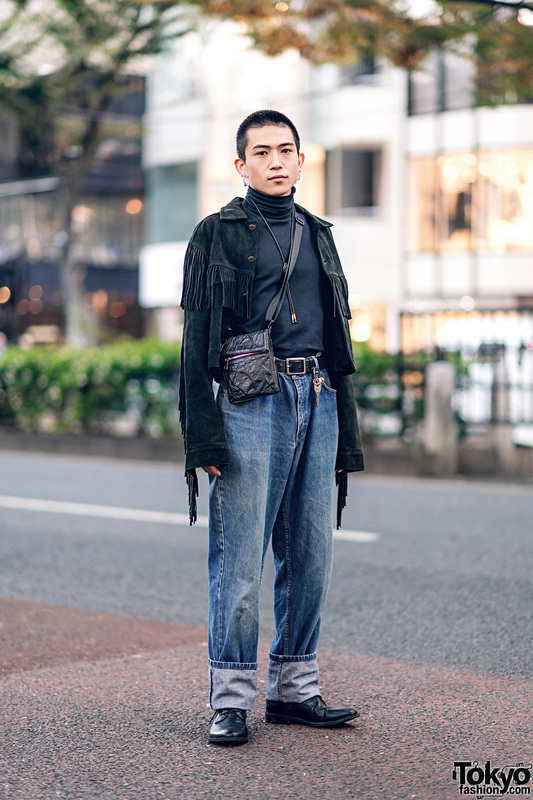 Harajuku guy sporting a casual look with a fringed suede jacket, turtleneck sweater, cuffed jeans, lace-up shoes and crossbody bag. 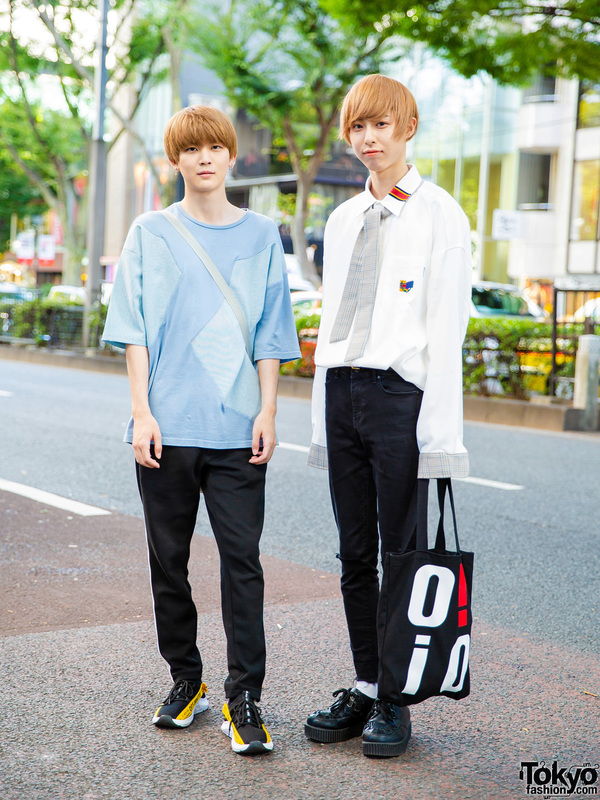 Harajuku guys in similar blonde bobs and stylish streetwear ensembles while out and about on the street.